The new Dräger X-Plore 1350 Filtering Facepiece Respirator sets a new standard in comfort and user fit. A unique head strap tension adjuster allows the wearer to fine-tune the mask for proper comfort. In addition, the non-irritating textile straps will not pull on your hair and the color coded nose clip helps to quickly identify the protection class. 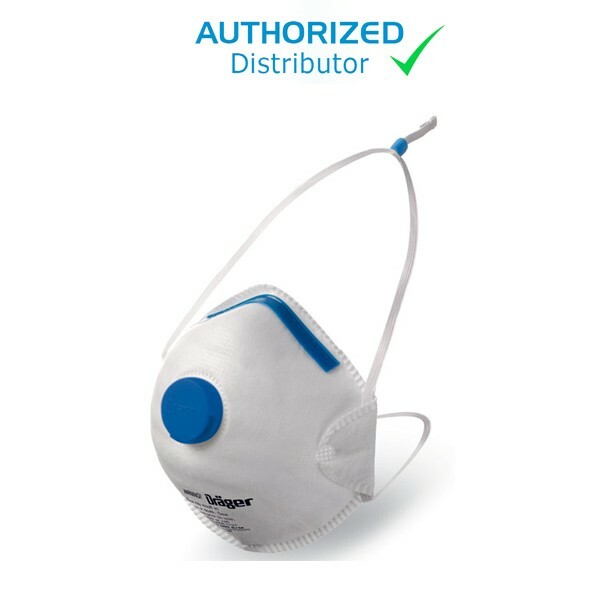 The Draeger X-Plore 1350 N95 utilizes a comfort seal around the nose and comes with an exhalation valve.